Solar technology hasn’t changed radically since the 1960s, but its availability to the average person has dramatically increased by adjustments in the ways solar is used and in its cost—a sixty percent drop in the cost of solar PV systems alone since 2011! 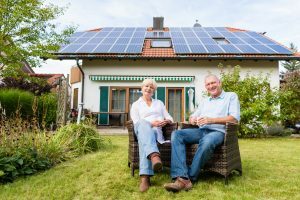 Still, many homeowners are assessing the cost versus the benefits of going solar, so here is a breakdown of the ways (and whens!) solar will save you money. How? Much like with other home improvement projects, many people finance their solar PV systems. You can finance through your installation company, often at a low interest rate, or through a home equity loan. Like any other loan, the shorter the term means the less you pay in interest over time, although many people who finance over a fifteen- to twenty-year term report their solar loan payments are less than their previous average electricity bill. Since what you’re paying every month is an investment in your home rather than a service fee, you’ll feel good about paying the bill every month, too. When? Immediate monthly savings if your loan payment is less than you were paying your utility company, and once the system is paid off, assuming you’re generating 100% of your electricity from solar, that’s a savings of over two hundred dollars a month for the average family. How? Another way to save money on installing a solar PV system is by taking advantage of a multitude of incentives and credits offered to homeowners. Understanding these complex options can be intimidating, but it’s well worth the effort. One key point—expect to receive a thirty percent federal tax credit on Energy-Star approved systems installed by December 31, 2016. Currently, this is set to drop to ten percent after this deadline, but legislation is being pushed to keep the credit higher. State and local governments offer incentives, as well, such as per kW yearly property tax credits and sales tax exemptions. At Modernize, we discuss state-specific programs at length, as well as links to additional resources and calculators to help you decide what’s best for your home. 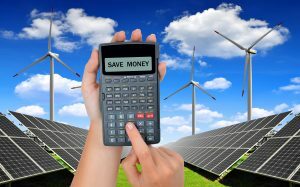 A process known as net metering can help you recover the cost of your system quickly, too. Owners of grid-connected systems that generate surplus power are credited for the power they return to the grid. When? As soon as your next income or property tax bill. If you don’t owe any federal income tax next year, you can roll over your tax credit to the following year. How? The green construction and renovation market is estimated at between eighty-seven and one hundred and fourteen billion dollars annually and continuing to rise. Nearly seventy-five percent of all home buyers say eco-conscious homes are their first choice—and they’re willing to pay for it. 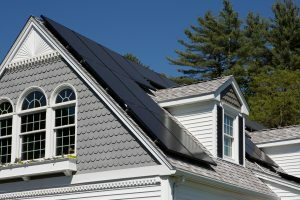 Current data reflects that a home with a solar PV system sells for over twenty thousand dollars more than a comparable home, a recoup of ninety-seven percent of the installation cost when accounting for subsidies. That’s not even including the financial benefits accrued while still living in the home. In contrast, a full kitchen remodel will recover about sixty percent of its cost in resale value. In regions with a high demand for green energy, the added value of a solar energy system is even higher. When? As soon as you sell. Additionally, having a solar PV system is so enticing that green homes sell twenty percent faster than homes with traditional utility systems. The sun is by far the largest source of light and energy we have, and it’s free! By investing in the technology needed to harvest it, from skylights to solar water heaters, you can fulfill your desire to help the planet, and you don’t have to break the bank to do it. This article is written By: Kelley Walters.